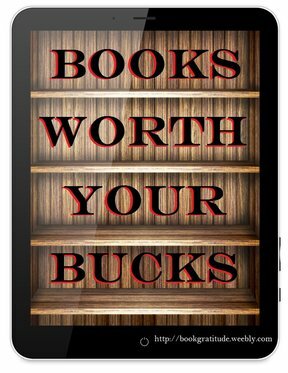 Welcome to Books Worth Your Bucks! This is an ongoing blog hop with fellow authors to introduce Indie or small pubbed authors to our readers. Each Friday, we will spotlight an author’s book, give buy links along with the links to the other authors participating in the hop, and say why we think this book is worth your bucks. 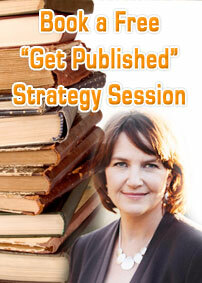 Part of our reasoning to do this is to bring more attention to the Indie authors we love to read. With so many books out there now, it’s hard to figure out what is a good, well-written book…or not. Keep in mind, these are our opinions, things we like to read. Today I’m reviewing SR Howen’s epic fantasy romance The Wizard’s Heart. Sorann is the queen’s daughter and training to be an empathic healer. Javert is a member of the wandering tribe called the Zingari and their future king. When Sorann’s failed healer’s magic test brings them together, they discover the prophecy governing the land is false. In order to prevent magic, and the Zingari, from being wiped from the land, Sorann must become Javert’s wife and leave everything behind that she once held dear. Tricked by demons, and followed by the queen’s soldiers, they must find the fabled Wizard’s Heart in the frozen Winter Valley. What sacrifices will they have to make along the way, and will Javert ever discover the true meaning of the Wizard’s Heart before his people and the love of his life are lost? This is the first book in the fantasy series Tales of the Zingari. SR Howen’s “The Wizard’s Heart” is a complex high fantasy tale of love, betrayal, and adventure. Sorann is a daughter to the queen, or so she believes. When her healing teacher, who also happens to be the head of the healing school and has it out for her, Master Fanzid kills some birds as a way to punish her and has her sentenced to Earth Sciences, she spends her last night of freedom in a tavern where she meets Javert. Javert is a gypsy/Zingari. He is the “king” of the Zingari. His people are being hunted by the queen for they are feared. Their existence threatens her reign. He “finds” Sorann on her last night of “freedom” and convinces her to escape with him. This begins their journey and love story. Through escaping the queen and her influence, Sorann discovers who she truly is. This discovery doesn’t come without struggle, mistakes, or heartache. By overcoming all of these things does she come into herself. She is a flawed heroine, which, in my opinion, are the best kind, even though I wanted to smack her at times. Still, perfection is boring. Javert is handsome, intelligent, compassionate, and passionate. He is powerful, strong, and knows who he is and what his purpose is. And, yet, he is flawed as well. All of these components are what make him the perfect hero for this book. It is the imperfection of these two characters and their struggles against the evils that dog them that make their triumph all the sweeter when it comes. I highly recommend this book to lovers of high fantasy, good stories, romance, and hope-filled futures.